Now that Angel has developed friendship with her peers in school, she comes home telling me who are her good friends, her new friends and her best buddy of all. Well, though her choice for best friend changes from time to time, one thing is for sure - she loves to make friends, hang out with them and do the happy things that friends do when they get together. If there is one thing I wish to teach her, it would be to always stay true to herself - to be who she is deep down, to rejoice for who she is and not to blindly follow her friends or aim to be like them. I want her to develop her own personality, I want her to be able to accept herself for who she is, I want her to know that it is okay for everyone to be different because each child in this world is truly unique. 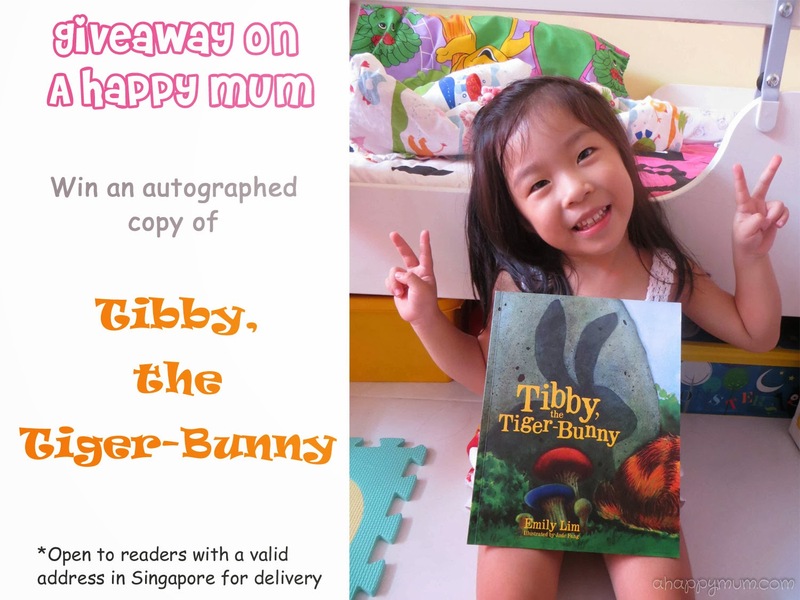 Recently, we had the chance to review a book titled Tibby, the Tiger Bunny by award-winning author Emily Lim. Review about our review on the popular Toy Tales series here. It was the perfect opportunity to educate my girl about friendship, acceptance and optimism. The story revolves around an unusual bunny named Tibby who has tiger stripes on his fur, likes to pounce and hop, and roar and squeak. The other rabbits are unsure if he is a tiger that looks like a bunny, or a bunny that looks like a tiger and because of his distinct and unique features, they don't really hang around or play with him. Wanting to make more friends, Tibby tries to fit in with the rest by rubbing his fur with mud but the rain washes his new coat away. As lonely as he may be, he remains a happy-go-lucky and cheerful bunny who often plays catching or hide-and-seek with who else but himself. One day, the other rabbits are having a picnic when a wild boar starts to attack their food when no one is watching. But wait, who is that behind the bushes? Yes, Tibby secretly follows the rabbits to the picnic and he knows he has to make a decision - is he brave enough to step up to the big, wild boar and stop him from ruining the picnic? Should he even help the other rabbits when they do not befriend him and have not invited him? The ending is of course a happy one but I am not going to tell you how Tibby scares the wild boar away. At last, the rabbits open up to Tibby and become close friends with him so that he no longer has to play hide-and-seek alone. I love how this short story inculcates values like staying positive, helping others in need and most of all, being true to yourself. There is no need to try to change your appearance or behaviour just so you will be liked by your friends; friends are the people who love you for who you are inside. You have to learn to accept yourself first before others can accept you. As you can see, the lovely illustration done by Jade Fang are attractive, vibrant and appealing to kids. If Angel's favourite character is the adorable Tibby, I would say mine is the greedy wild boar. In addition, the text is also not too heavy and perfect for young children like Angel who are just starting out to learn to read. Charming and delightful, Tibby the Tiger Bunny is definitely a great book to have. Now, would you like to have a copy of this awesome book for your child too? All you have to do is 1) leave a blog comment with your email address and 2) Click on the Rafflecopter widget to indicate you have commented. Optionally, you can follow the rest of the options to gain more entries. 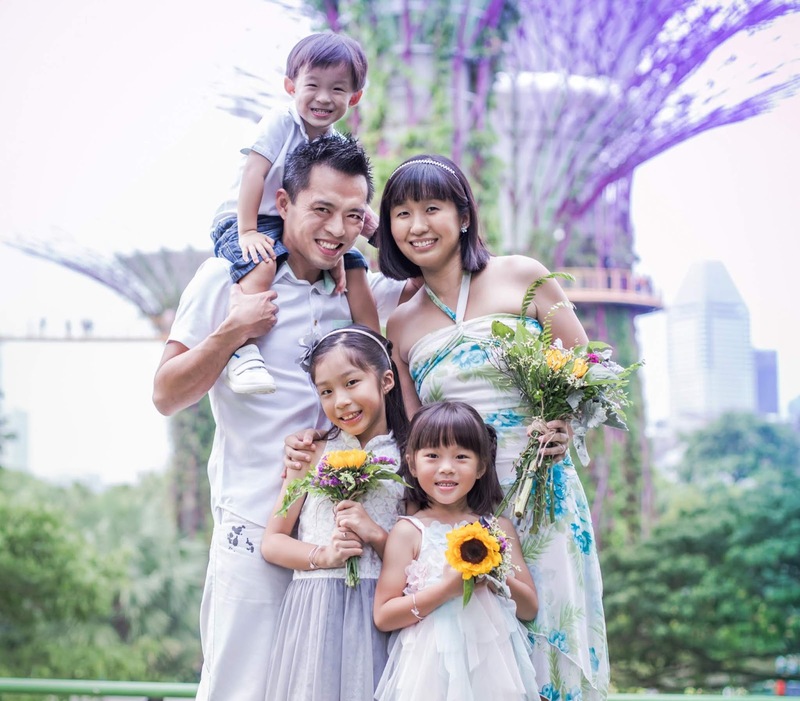 Emily Lim is an award-winning children's book author who was inflicted with a rare voice disorder and subsequently found her voice through her books. She draws inspiration from her coping journey and sees her books as small beginnings towards a larger purpose of inspiring both children and adult to find meaning in their lives. More of her story on her blog. Disclosure: We received a copy of Tibby the Tiger Bunny for review purpose. No monetary compensation was received and all opinions are our own. I hope to win this book! Hope to win this for my son! Hope i can win for my gals..
Hope to win this book for my boys! YAY what a fun book for J and Little E! Thanks for this awesome giveaway! Hope to win this for my girls. They love to read! My girls, nieces and nephews would love this book! Another great reading together book. A great book for me to bond with my child. Interesting! I would love to read this book to my girl. Thanks for organising! Hope to win this book for my daughter. interesting book for the children! 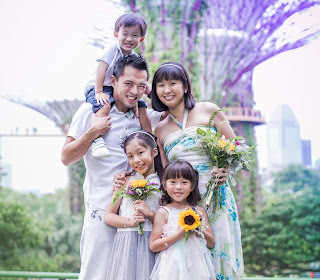 Am a big fan of Emily Lim. Thanks for the giveaway, Summer! :) It looks like a great read! Love the values embedded in this story. I also hope to win this for my kids who are starting to develop friendship with their peers.